The chair has a fully equipped TV studio with its own DVB-T broadcast system. 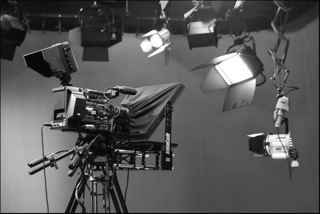 The studio is used for research as well as for training of students of media-related studies. Furthermore, the student television channel StudiTV is organized by us. 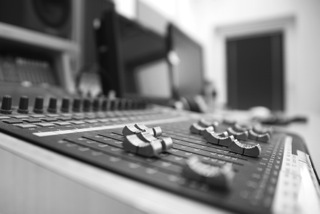 Registered users can work both in the control room of the studio as well as in the media computer pool. In addition, we offer mobile production equipment such as cameras and video cameras, audio and lighting equipment for loan to students.